A venture, including the company of the Turkish Football Federation's (TFF) Chairman Yıldırım Demirören, has made the best bid in the tender to operate Turkey's only legal sports betting company Iddaa. The Şans Girişim venture of Demirören Holding and U.S. firm Scientific Games made an offer to take 0.2 percent of revenues from the Iddaa platform under the revenue-sharing scheme, revising down their previous bid of 2.1 percent, reports said Wednesday. The other bidder in the tender, the Inteltek venture of Greece's Intralot and Turkey's largest mobile phone operator Turkcell, offered to take a 0.5 percent commission after having offered 1.4 percent in the first round of bidding. Holding a 55 percent share in the venture, Turkcell's shares were down 0.4 percent before noon. The bids from two other companies, Baltech Investment and Best Gaming, were disqualified in the first round of bidding held on Monday. The tender, which would determine the Iddaa operator for the next 10 years, requires a minimum 17 billion Turkish lira ($3.23 billion)-revenue for the first year for the operator to be entitled to its commission. If the revenue does not meet this condition, the commission rate will be decreased. The operator will also guarantee an annual increase in revenues based on the average rate of producer and consumer inflation. 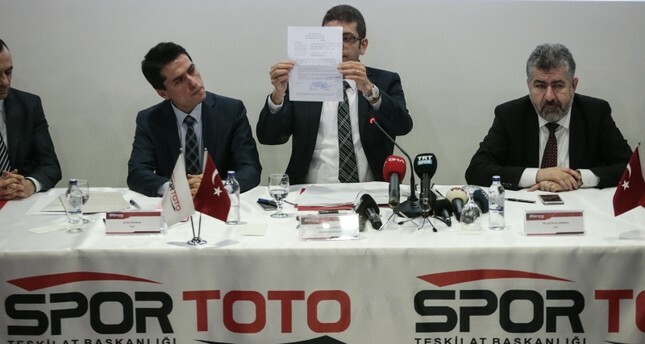 Turkey's Sports Lottery Organization Presidency (Spor Toto) had launched the betting platform in 2004 as the sole legal betting and gambling platform in the country. In addition to kiosks and licensed bet offices, betting on Iddaa is also available on a number of licensed websites. Current operator Inteltek, which took over the Iddaa platform in 2008 with a 1.4 percent commission, was the sole bidder in the tender held on Nov. 27, which was canceled by Spor Toto on Dec. 10 on the grounds that conditions of competition were not met. According to the data on Intralot's website, Inteltek made a TL 92.7 million profit from Iddaa in 2017 with an increase of 1 percent compared to the previous year. Turkcell revealed in its third quarter statement that it received TL 97.9 million in dividend in 2018. The tender comes at a time when the government is trying to curb illegal online betting, which is a growing trend in Turkey. A report published by the Financial Crimes Investigation Board (MASAK) in 2017 put the volume in illegal betting at more than 1,000 websites at some four times larger than betting on Iddaa, with the total number of users exceeding five million. In order to increase the attractiveness of legal betting, the government had increased the gross prize ratio from 59 percent to 83 percent, with net prizes rising as much as 70 percent, making legal betting more enticing compared to illegal online betting. Thus, legal betting is expected to generate greater revenues in the upcoming year despite lower commission rates. The increase in legal betting revenues is also crucial for Turkish football clubs, which mostly suffer from poor financial structures. The Demirören Group, in which Demirören serves as board chairman, is active in the energy, mining, manufacturing, construction, tourism and real estate sectors. Demirören was also the former chairman of Istanbul giant Beşiktaş. The group added Doğan Group's media properties, including Hürriyet and Posta newspapers and TV stations Kanal D and CNN Türk, to their portfolio in 2018. It previously acquired Turkish newspapers Milliyet and Vatan from Doğan in May 2011. The holding also owns a licensed website providing Iddaa betting options. It is not clear whether Demirören will sever its ties with the TFF on ethics or competition grounds if the Şans Girişim venture is awarded the tender. Turkcell CEO Kaan Terzioğlu had resigned from his role in the TFF after Inteltek made a bid in the previous tender.